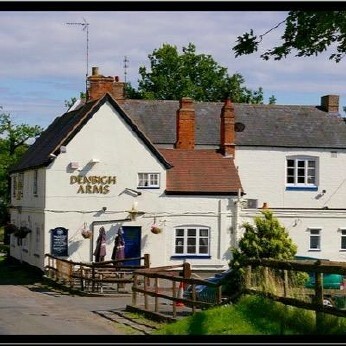 The Denbigh Arms is a traditional country pub in the picturesque village of Monky Kirby, which is about 4 miles from Rugby town centre. The Denbigh Arms is a well known, old rustic bar and Restaurant. Located next to the church of St Edith founded in 1077, great Tourist attraction to visit. The Denbigh Arms itself opened in 1769. the building offers a function room on the first floor perfect to hold events, parties, or a reunion. There are two open fires down stairs that offer a lovely area to sit and relax. We have a games room being set up at the moment down stairs. Also we have a dart board area. We have three types of menus 1 lunch 2 dinner 3(sat and sun)breakfast and Sunday Roast. We have different Real Ales on every week. all our food comes from local suppliers Butcher,Baker and farmers. Our desserts are all homemade also, we pride our selves with out communication skills, we do are up most to make sure you have a wonderful visit. Please - follow us on Instagram/Twitter for up-to-the-tweet pub news, promotions, updates and special offers...!